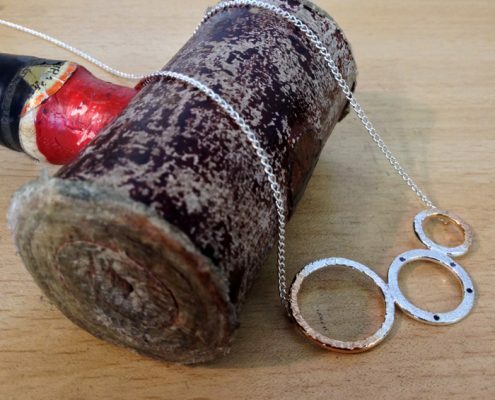 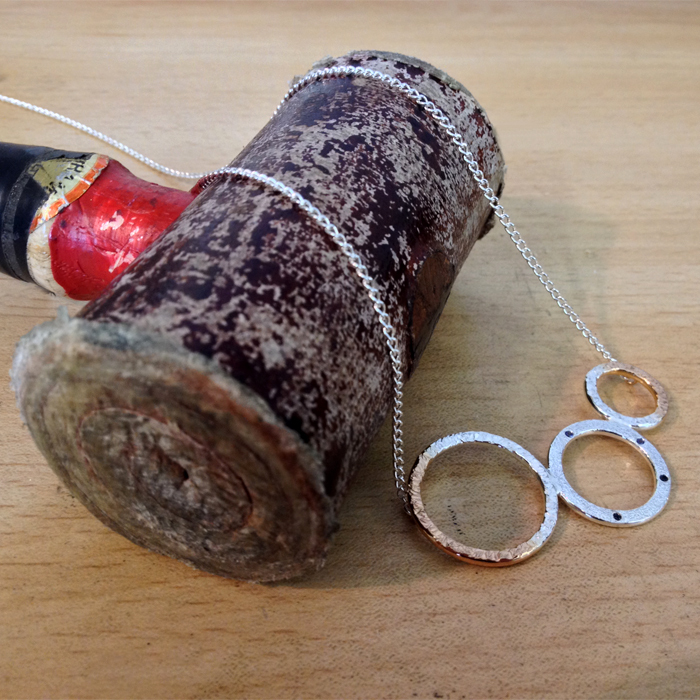 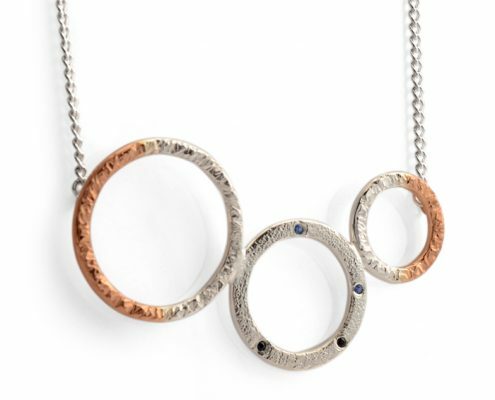 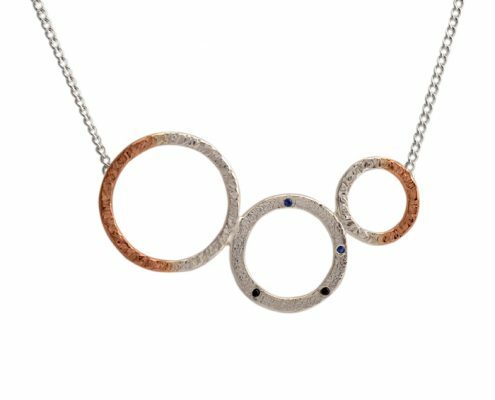 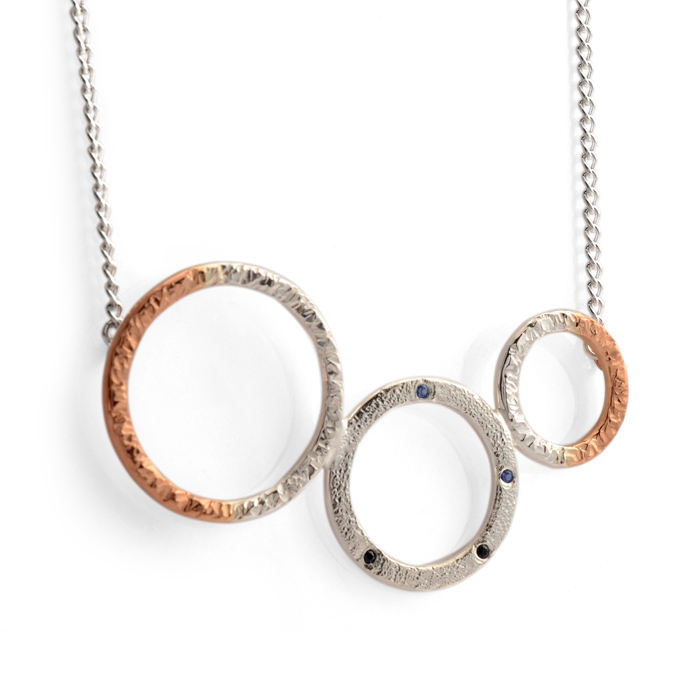 Gifted as a 30th birthday present, this pendant features a hammered texture on all three Silver circles. 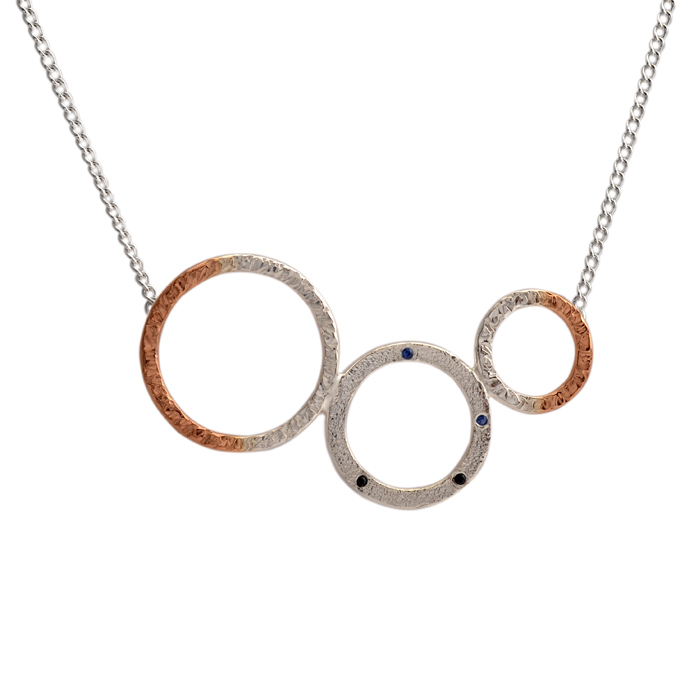 Accented with scattered flush set Black Diamonds and Blue Sapphires, the stones glisten amongst the textured relief. 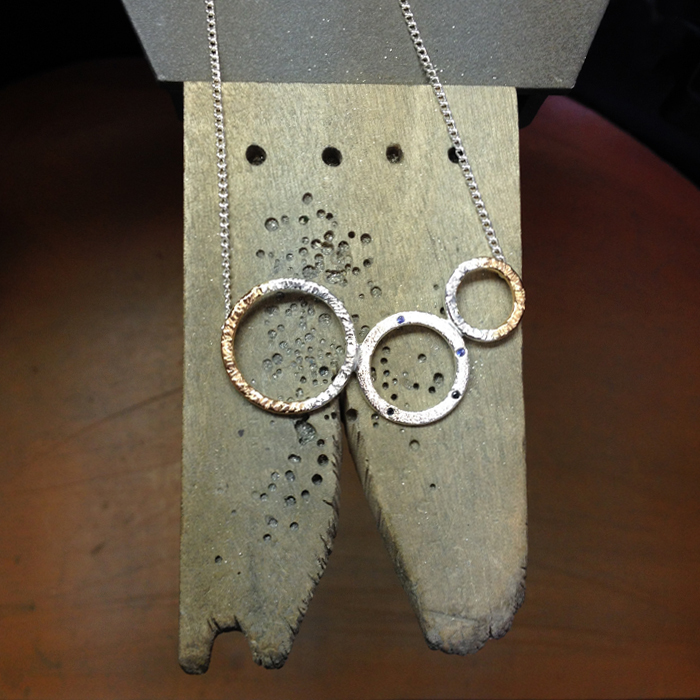 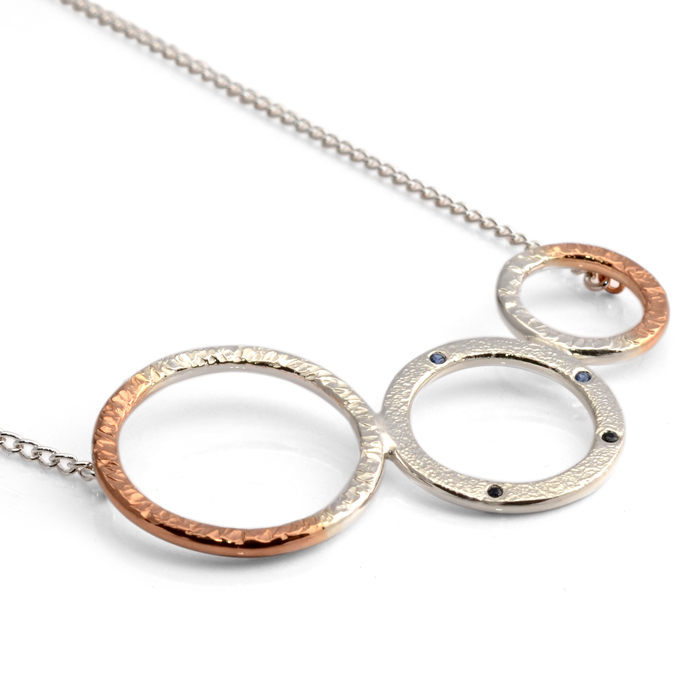 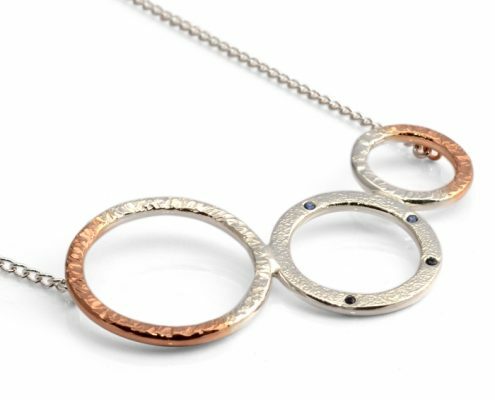 To provide a colour contrast against the Silver, the edges of the pendant were dipped in Rose Gold. 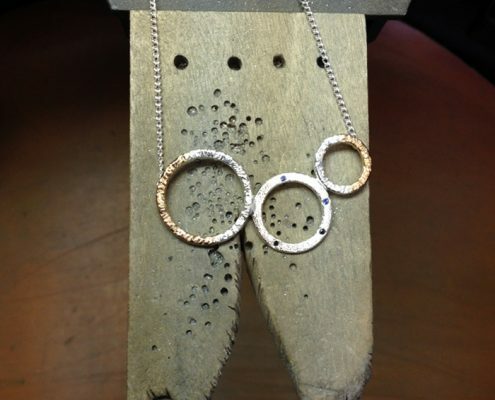 Suspended on a fixed curb chain with extender chain making pendant wearable at different lengths.